7 p.m.; 314-367-6731 or w ww.left-bank.com) on Thursday, January 20. Admission is free. When did "television chef" become the career of choice for aspiring celebrities? Never has the field of TV chefs been as crowded. And sure, quite a bit of the credit/blame for that belongs to the Food Network, which serves as the main indoctrination center for all the pretty foodies who know their way around a double boiler and also know which camera to look in. But part of the credit/blame must rest squarely on the collective shoulders of the American public. We have become so gluttonous and lazy that we crave not just more shows telling us what to eat and how to eat it, but more "colorful" personalities telling us how to prepare carambola cacciatora. It's a short trip from gracious Doyenne of Dinner, Julia Child, to the Jonestown-like cult of personality enshrouding Emeril Lagasse -- mass insanity is just one bam! away. Fortunately, America has Alton Brown to lead us out of the corner we've almost finished painting ourselves into (or rather, basting with a light blood-orange-and-jalapeño marinade). Brown, the former actor and current star of Food Network's Good Eats, is decidedly different from his cheflebrity cohorts. He's a goofball -- but in a good way. His half-hour shows have a warped sensibility, rife with cheap sight gags, puns and strange "guest stars" (one episode revolved around his "sister" browbeating Brown into making cookies for her). And therein rests Brown's genius: He takes his food seriously, because it's food, but he doesn't take himself seriously. Brown's show is designed for people who love to eat (hence the name) and are a little unsure of themselves in the kitchen. As Brown notes in a post on his Web site (www.altonbrown.com), "You shouldn't live on . . . anything made by someone you wouldn't hug." 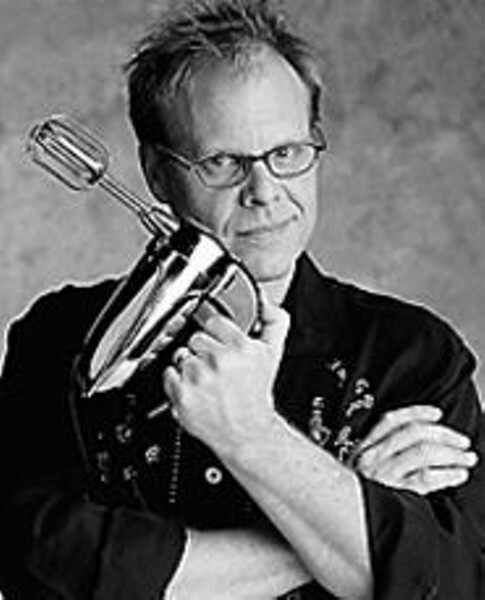 You can hug Alton Brown; he'll probably hug you back and make a little something tasty, too.